Delayed-Onset Muscle Soreness, more commonly known as DOMS is experienced about 24 to 48 hours after exercise and normally lasts for about 96 hours. So, that instant pain during, or straight after intense exercise is not classified as DOMS. The most common symptoms of DOMS include swelling, joint stiffness and limited motion, tenderness, debilitating pain and muscle weakness. In extreme cases one can experience severe muscle breakdown, which can place the kidneys at risk and raised levels of creatine kinase (CK) in the bloodstream (an indicator of muscle tissue damage). Initially, it was thought that DOMS is the result of a build-up of lactic acid in the muscles, but scientists now agree that because lactic acid reverts to resting levels within 20 to 40 minutes after exercise, it does not cause DOMS. Recent studies have shown that DOMS can be experienced by anybody, despite their fitness levels especially, when starting a new exercise regimen, or escalating the intensity of your current physical activity that is based on eccentric muscle contractions. These contractions are movements that cause the muscle to forcefully contract while it lengthens and is normally experienced in resistance training, downhill running, going down stairs, lowering weights, push ups and squats. This can damage the muscle cell membrane and create tiny tears in the muscle fibres, which leads to inflammation in the affected area. The good news is that once your body has experienced DOMS, it builds strength and reduces the intensity of that activity’s symptoms in the future. One suggested form of treatment for DOMS is to treat the inflammation that results. BothLyprinol® PCSO-524® and OliveHeart® are geared towards treating inflammation, so they can be extremely helpful in alleviating and preventing the symptoms and causes of DOMS. The rare combination of five lipid groups in Lyprinol® PCSO-524®, which includes 91 polyunsaturated fatty acids (PUFAs), eicosatetranoic acid (ETA), octadecatetranoic acid (OTA) and the rarely-found furan acid, helps to inhibit certain chemical pathways of the body. In particular, the lipoxygenase (LOX) and cycloxygenase (COX) pathways, which cause pain and inflammation. 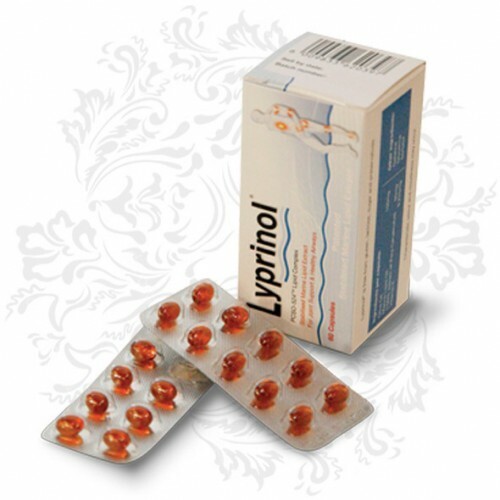 Traditionally NSAIDs (non-steroidal anti-inflammatory drugs) are prescribed to alleviate these symptoms, but since studies have shown that Lyprinol® can be twice as effective without any of the unpleasant side-effects, it makes sense to follow a healthy and natural approach. An Australian National University study done in conjunction with Prof Baum, from the Trainingsinstitut in Köln Germany explored the impact that Lyprinol® PCSO-524® had on 32 long distance runners after a 30 km run. They found that Lyprinol® PCSO-524® reduced the DOMS symptoms such as pain, especially in less experienced runners. A new breakthrough study was conducted at The University of Indiana and the results were released on the 19 February 2015. The main aim of the study was to explore the therapeutic effects of Lyprinol® on post-exercise muscle damage and inflammation and in the final analysis, the researchers concluded that it held great promise for both amateur and experienced athletes who try new or eccentric muscle activities. The study consisted of thirty two untrained subjects, aged 20 to 24, who were randomly given either eight capsules of Lyprinol® PCSO-524® (800 mg olive oil, 400 mg lipid extract and 1.8 mg vitamin E) or eight capsules of olive oil (1200 mg) per day. They started taking the supplements 26 days before simulating a 20 minute downhill run on a treadmill and continued for four days after the activity. Once the activity was complete, they were regularly tested for DOMS and other symptoms at intervals of 24, 48, 72 and 96 hours. The results showed that the participants taking Lyprinol® PCSO-524® had “significantly reduced lower limb DOMS, quadriceps pain (tenderness), and peripheral muscle fatigue, and provided a protective effect against ROM (knee flexion) and isometric strength (torque) loss that can occur following downhill running designed to induce muscle damage”. In other words, they experienced significantly lower DOMS, strength loss and fatigue and had a much lower count of inflammatory proteins present in their bloodstream. OliveHeart®’s exceptionally high content of polyphenols and omega 3 fatty acids (ALA) offers potent antioxidant and anti-inflammatory properties that can play an important role in treating DOMS symptoms. As a pure, high polyphenol extra virgin olive oil (hpevoo), it contains the EFSA prescribed quantity of polyphenols that are needed to protect the body against a number of debilitating inflammatory conditions such as DOMS. Its main therapeutic value comes from its active ingredient, hydroxytyrosol, which plays a vital role in reducing the markers of inflammation. Olive oil also mimics NSAIDs in their ability to treat inflammation and alleviate pain (also without the side effects) and as such provides a healthy and delicious alternative that can easily be added to your daily diet. It has been suggested that olive oil is not only good for treating DOMS, but can help the body to adapt to exercise better and stimulate and improve muscle growth after strenuous activity. The next time you up your exercise programme or decide to explore new forms of physical activity, consider supplementing your diet with the anti-inflammatory potency of both Lyprinol® and OliveHeart® so that you can prevent and recover faster from the debilitating effects of DOMS.